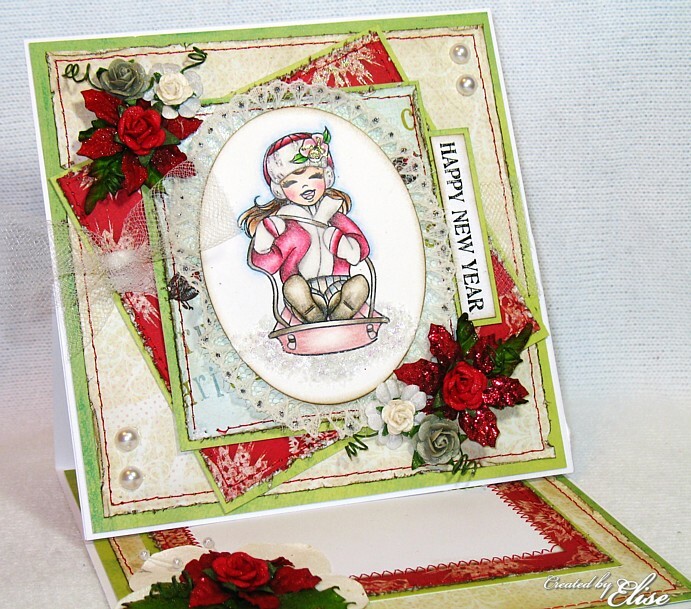 Hi all and welcome back to another Belles 'n Whistles Challenge! It's Iris and my turn this time to host the challenge. Are you feeling the same as I do? Can't see those Christmas cards anymore? Well then lets move on to the next holiday after Christmas! :-) Of course...New Year! I am challenging you this time to create a New Year's Project. 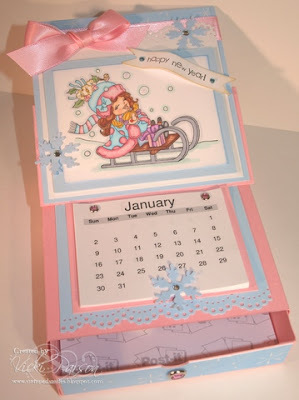 That can be everything: a card, a bottle hanger for a champagne bottle, place cards for your New Years dinner etc. Just get creative! summer(at)bellesnwhistlesstamps(dot)comOh and there is another thing....a little reminder! Our Ornament Contest is still going on!For all details click above or the Advent Calendar blinkie in our sidebarto go to our Inspirational Blog! 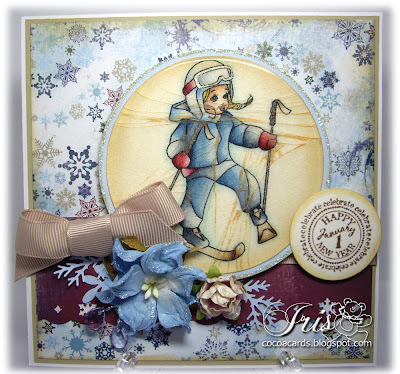 On our Inspirational Blog there is a tutorial today on the 'Cracked Glass Technique! Oh, wow, that's me, I won! Thank you so much, I will send an email now. I know my submission doesn't have a Bellles n Whistles image but I wanted to submit is anyway. Merry Christmas! Thank you for this great challenge. It was a lot of fun.